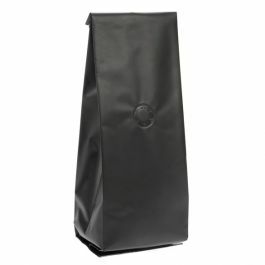 SGC1K is our Coffee Bag in natural Kraft and features a one-way degassing valve to extend product freshness. 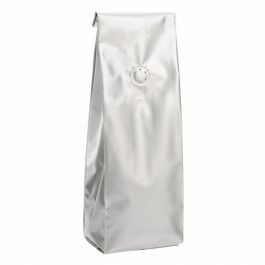 This bag measures 3 1/8" x 2 3/8" x 10 1/4" and holds 6-10 oz of coffee, tea, and other specialty food products. An aluminum lining provides an excellent barrier against moisture and air. Heat sealable. 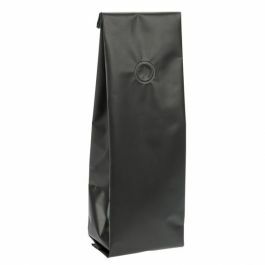 Coffee bags constructed with one-way valves help to contain the height of flavorful, aromatic coffees so they smell and taste as good as when first roasted. 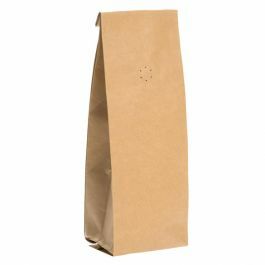 Our SGC1K Kraft Coffee Bag measures 3 1/8" x 2 3/8" x 10 1/4" and holds 6-10 oz of coffee, teas, and works equally well for specialty food items. 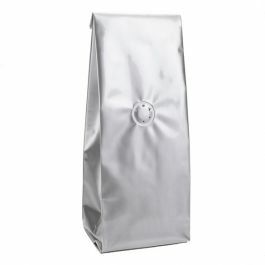 The one-way valve vents carbon dioxide and air while limiting external air from entering the bag. With a thickness of 5.2 mil, this pouch is constructed with a blend of materials and a durable bottom seal. An aluminum lining provides an excellent barrier to protect against moisture and air. Solid Kraft panels offer plenty of space for branding and product labeling. Customized printing is available. Close with a heat sealer or an adhesive tin tie. Outer Dimensions: 3 1/8" x 2 3/8" x 10 1/4"
Sizes listed by outer dimensions. Sizes listed as (W x D x L). Custom printing and sizes available.